Six key trends will determine Class 3-7 medium-duty truck lifecycle costs in the 2010 calendar-year. They are diesel prices, acquisition costs, resale, maintenance costs, replacement tire expense and environmental regulatory requirements. Diesel prices are the most significant factor that will influence operating costs in the 2010-CY. However, future diesel prices remain somewhat fuzzy. The most recent (Nov. 10) forecast from the Department of Energy projects CY2010 diesel prices at $2.94 per gallon, which will be higher than the 2009 average, yet 86 cents less than the 2008 average price. 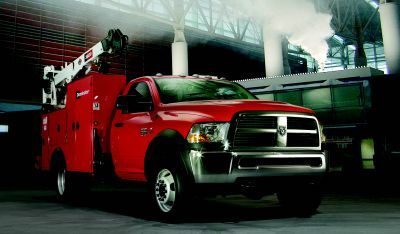 "We expect that the new emission requirements on the MY2010 diesels will impact fuel economy. Some manufacturers are claiming improved fuel efficiency with 2010 engines; we are anxious to see if real-world use bears this out. Of course, future oil prices will ultimately drive operating expense," said Steve Byrd, fleet services manager for PHH Arval. One possible harbinger of the future direction of diesel prices is the commodity futures market for diesel fuel. "If the futures market is any indication, prices will be relatively flat over the next six months. This should result in the first quarter of the model-year being lower than MY2009, the second quarter trending higher, with the rest of the year close to MY2009," said John Bauer, manager, fleet analytics for Wheels Inc. However, a return to improved economic conditions will likely cause upward pressure on diesel prices due to increased demand. The national macro economy is an uncontrollable factor that will continue to exert a strong influence on truck fleet costs. "These cost trends will undoubtedly continue as the economy struggles. Fleets are tending to delay new-vehicle purchases and keep existing fleet vehicles in service longer, which adds to long-term maintenance and repair costs, especially as more powertrain components fall out of warranty terms," said Charlie Thomas, manager, PHH Vehicle Maintenance Assistance. In addition, 2010 emission standards will introduce entirely new maintenance items, plus increase the initial acquisition cost of trucks. One possible reaction to higher acquisition prices is an uptick in used-vehicle sales. "The down economy will lead cautious buyers to go with used vehicles because they won't have the newer emissions equipment," added Byrd. The increased maintenance costs due to the new 2010 emission standards will not be felt in the near-term. "The complexity of the 2010 emission standards will not significantly impact maintenance costs until late 2010 and after," said Eric Strom, maintenance and safety product manager for GE Capital Fleet Services. The volatile price of commodities, such as steel and aluminum, will further impact truck costs. "Most medium-duty trucks have bodies, and the rising cost of material surcharges in commodities has increased the cost of bodies," said Ezel Baltali, fleet services applications engineer for PHH Arval. The economic downturn has helped reduce maintenance costs due to lower utilization rates; however, trucks are being kept in service for longer periods, which threatens to increase future maintenance costs. "The economic slowdown has resulted in many fleets, particularly delivery fleets, seeing a drop in their vehicle utilization," said Greg Stanford, business consultant for PHH Arval. "Fewer deliveries lead to fewer miles, and in some instances, the need for fewer trucks. So a key area in cost management over the next year will be properly managing fleet resources to what are likely lower levels of demand. Decisions made this year on the capital budget side will impact operating costs many years into the future. Trying to save money by delaying vehicle replacement will result in higher maintenance and associated downtime costs later." Depreciation is the largest expense for medium-duty trucks. Resale values for five-year-old medium-duty trucks (Classes 3-7) have decreased, on average, 18-23 percent in the past 12 months. "There have been significant declines across the board on medium-duty trucks. This includes one- to three-year old trucks, as well as seven- to 10-year-old trucks," said Mark Orth, national remarketing manager -truck & specialty assets for GE Capital Fleet Services. "In particular, trucks older than 10 years are difficult to sell. These units have older technology, higher fuel and maintenance costs, and currently have very little demand." The ongoing sluggish business environment is the key reason for the soft resale market. "There is an overabundance of used units due to small businesses not needing as many of these trucks because of the slowdown in construction, delivery applications, and landscaping," said Ricky Beggs, VP and managing editor of Black Book. This slowdown has caused wholesale inventory of used medium-duties to remain higher than buyer demand. For instance, there is currently a glut of box trucks in the wholesale market. Contributing to the increased supply of used medium-duties has been an uptick in early lease terminations and repos caused by numerous business failures. In addition, the secondary tradesmen market, a key buying segment for used medium-duties, has dried up due to the downturn in new construction. This, in turn, has had a cascading effect on other related industries, which are also traditional buyers of used medium-duties, such as appliance merchandisers, furniture stores, and carpet retailers. The decline in medium-duty resale values began in late 2007, when the residential construction slowdown started. In 2007, resale values dropped 10 percent and remained that way through the first half of 2008. Then, a combination of market forces starting last July converged to create a "perfect storm" to further drive down resale values by 15-25 percent. These convergent forces were higher fuel prices, tighter consumer credit, and the stagnant construction market. As a result, the pool of buyers (hence market demand) for used trucks contracted, exerting downward pressure on resale prices. This soft resale market has persisted into today. Another factor influencing medium-duty truck resales is the number of retail dealers who have gone out of business. New and used inventory from closed dealerships is being consigned to auctions. In addition, the growing number of dealerships closing may potentially affect the buyer pool by decreasing the universe of medium-duty truck dealers going to auction. Compounding these problems is the extremely slow new-truck market. Sales are so slow; many dealers still have brand-new pre-2007 emission-standard models sitting on their lots. The sluggish new-truck market is prompting significant price discounting on new models, putting downward pressure on used-vehicle prices. In some instances, aggressively discounted new trucks are competing with late-model used trucks. Maintenance costs for medium-duty trucks have been increasing at a 5 percent annual rate. "We expect the economic slowdown will tend to bring this down, and there are signs of this already in CY2009. The trend to extending service lives will push fleet maintenance costs up, as these increase steadily with vehicle age," said Byrd. "Depending on its average fleet age, a typical medium-duty fleet can expect a 4-plus-percent increase in maintenance expenses if it delayed vehicle replacement in the last year." Many see maintenance costs rising in the foreseeable future. "Maintenance costs are expected to continue to increase and not offset those repair providers who may be more willing to negotiate parts and labor prices," said Strom of GE Capital Fleet Services. The 2010 model-year brings with it yet another round of new emission requirements. The new diesel emission standards will increase operating costs for medium-duty trucks. The increasing age of the average medium-duty truck in fleet service will negatively impact future repair costs. "These costs have been relatively flat in terms of the price per repair. However, the average medium-duty vehicle in our fleet is nine months older as companies delay replacements. As age increases, the number of repairs has increased. New diesel emissions regulations will eventually have an impact on repair expenses, but probably not in MY2010," said Bauer of Wheels. In recent model-years, a variety of new technologies have been offered on medium-duty trucks. These devices are introducing new expenses. "This includes repair costs related to new truck technologies such as APUs, hybrid devices, more complex transmissions, and other electrical components not previously available on trucks," said Byrd. New environmental regulatory requirements will exert upward pressure on fleet maintenance and upfit costs. "Congress is considering carbon legislation that will likely have a significant impact on the cost and operation of medium-duty trucks, and everything else as well," said Byrd. "Unfortunately, what the end result will be is unknown at this point, so making definitive statements is tough. The general direction is toward more regulation and controls by government, which generally do not make for lower costs or easier management." Another consequence of greater regulation is increased maintenance costs. "With new emissions measures, new components come into play for maintenance and repairs, along with the cost of upfits for regulatory purposes," said Baltali of PHH Arval. This trend requires fleet managers to stay on top of manufacturer equipment requirements relating to new emissions standards. "Whether on new equipment or in making any retrofits that might be required by local or national legislation, emissions equipment is expensive and will impact overall fleet operating costs," said Stanford of PHH. "In many respects, California leads the nation in environmental issues, and complying with the proposed California Air Resources Board (CARB) reporting requirements for medium-duty trucks will be an added burden to fleet managers. In addition, there will most likely be increased reporting requirements on vehicle emissions, based on the direction CARB is going." These regional environmental regulations impact not only local fleets, but also nationally dispersed fleets. "The proposed CARB requirements will affect over-the-road truck units with 14,000 lbs. GVW and greater. CARB affects any units operating in California with engines older than 2010 or without 2010 emissions," said Thomas of PHH. "With the CARB proposal, fleets in California must upfit vehicles to obtain compliance, starting Jan. 1, 2011." These upfits can range from $15,000-$20,000 per unit, including installation and filters. The industry expectation is replacement tire costs will remain flat due to decreased demand in the retail market. However, some see tire costs increasing. "Tire costs are expected to increase slightly even if oil prices stabilize," said Strom. Long driven by oil and energy prices, tire manufacturers bit the bullet somewhat during last year's oil price spike, keeping the lid on street prices. In addition, the slower economy decreased retail demand. "While increased use of synthetics is likely to continue (and decouple tire prices from petroleum somewhat), we do not expect a major decline in long-term tire costs," said Byrd. "Overall, tire costs are expected to be flat over the next year and should track with inflation after that. In newer models, increased use of tire monitoring systems is resulting in longer replacement intervals, a positive trend for future tire expenses." Last year's high cost of replacement tires has prompted more fleets to increase use of retreads.